The Stilla Motion is a coin-sized device fitted with a motion tracker that sends a smartphone or smartwatch notification when a possession has moved from where you left it. Losing things is the absolute worst. Having a wallet or phone disappear from where you left it can mess up your entire day (or week or month). 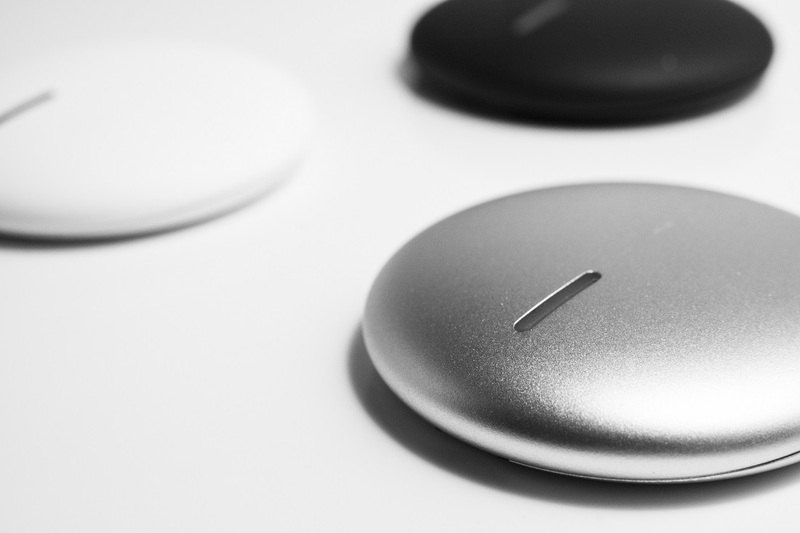 Devices such as Tile, Chipolo, and the TrackR Bravo will help with hunting down lost items. While those are remedies to misplacing a valuable (what we’ve previously referred to as Findables), the new Stilla Motion would rather avoid the occurrence and prevent theft and misplaced items all together. 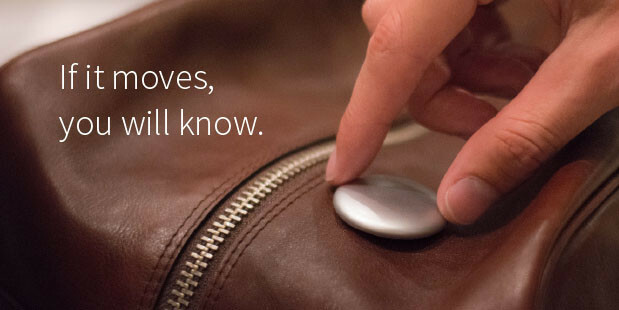 The Stilla Motion takes a refreshingly simple approach to security: if a possession moves, it tells you. It’s been designed to take over when you’re forced to leave something beyond the realm of your supervision, like when you need to take a quick bathroom break at the airport and don’t want to carry all your luggage in with you, or have to leave your laptop in the car. There are always some things that we’d rather not have move from where we left them, and the Stilla Motion will tell you when they do. The coin-sized device is fitted with a motion tracker; the sensor is activated when you squeeze down on it. It has a range of 150-feet and comes with an app that is compatible with iOS and Android devices. Once activated, the Stilla Motion notify you when the object you’re tracking is set in motion. You can choose whether to have the notification sent to a smartphone or smartwatch. Users have the extra option of triggering an 85 dB alarm that will blare to let you (and everyone around) know that a valuable may be in danger of accidental misplacement or theft. The alarm serves as a deterrent to someone trying to make a quick getaway with your possessions. It can also help with locating lost items if they happen to be within hearing distance. More robust location-tracking features are on the cards for future updates. The Stilla Motion is vigilant, but it’s not stupid. Complementing the efficiently designed hardware are machine learning algorithms that help the device tell repetitive motions from discrete ones. So it won’t go off every time a bag moves when a car is going down a bumpy road, but it will fire off a notification if a bag is lifted up and carried away. The battery on board can last up to a year, so charging the device isn’t something you really need to worry about. The Stilla Motion is currently available on Indiegogo. The campaign has raised $51,000 so far, which is more than 250 percent of their $20,000 goal. Early bird units priced $29 have sold out, but you can still get your hands on one for $35. The device is expected to retail for about $49. $50 for just one of these? I feel like if I had a use for one of these motion activated theft deterrent products, I would want to have 2-3 at least for that price. This could be very valuable to someone that travels a lot and needs a little extra security for their items. I am sure that booming alarm will deter even the nosiest thief. LOL, that alarm though. I think the range needs to be higher, but for starters, putting it in my wallet seems like the best idea off the top of my head! At first I was like, “well this is just another tracker” that doesn’t track, but then I read about the alarm. NOW, that makes a big difference in what this company is trying to do for you!